Supporting Jewish family life is a priority for us. We encourage you to bring your children to shul on Shabbat, where they meet and connect with friends. Our services are extremely child-friendly, with infants, toddlers, and children of all ages welcome in our sanctuary. Moms are welcome to breast-feed in the shul (private spaces are available upstairs if needed) We integrate children into our services in ways that are appropriate to their ages, so that they can grow into prayer at their own pace, surrounded by adult role models. 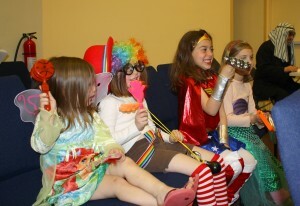 The New Shul offers childcare on Shabbat mornings from 10 am to noon. On Shabbat mornings during the school year, we offer “Munchkin Minyan,” a children’s learning service from 11 to 11:40 am. The New Shul offers family-based learning in small groups on Sunday mornings. Participants in our Family Beit Midrash are grouped with other families with similar needs and interests, and children of similar ages, for weekly learning with Rabbi Wasserman or Rabbi Kanter. For more information, please call or email.